The Law of Attraction - You’ve heard about it. You’ve seen it. You’ve probably read about it. And - It is fundamental to your success. It has even been a factor in where you are now. And it will be crucial to your destiny. It’s odd that there is so much hype about this universal principle recently. 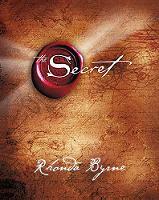 From Oprah to the internet, nearly everywhere you look there’s information and reference to the amazing "Secret". Universal truths, however, don’t just appear. The Law of Attraction has been around forever, since the beginning of time. And people have known about it. Though the name is not specifically mentioned, since it’s a relatively new term, its truths are referred to incessantly throughout the Bible. 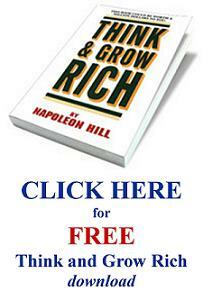 In the 1930’s, Napoleon Hill wrote one of the most famous self-help books ever, Think and Grow Rich. This book is practically entirely about the Law of Attraction. So, what does it mean to you? Does it mean that when you look at the list of goals you created and think about them in sensory-rich-detail day in and day out that they will simply manifest themselves? Well . . . .Yes! Maybe not today, maybe not tomorrow, but they will manifest themselves. It will be impossible for them not to!! Why does it work? Well specifically to understand, you should look at a couple of these videos, read some of these articles, or even better - watch the Secret DVD. Get a preview of it by clicking here . But to understand simply or partially – just think about it. When you focus on something intently and long enough you begin to work on it. Consciously and subconsciously you begin to work on it. You begin to organize your thoughts and actions around it. Since you are thinking about it constantly, you may mention it in conversation with others. They have thoughts regarding it and introduce you to potential assets that might help or be of assistance. And thus it snowballs. Understanding this universal principle is Step 2 to achieving your goals. Whenever you buy a new car, isn’t it amazing how it seems that everyone now drives the very car you just bought? There’s one on every corner. Or, is it now that you own one you now recognize every one that drives by? Did you attract all these identical cars to you or has your focus changed? Put simply – this is a small part of how the Law of Attraction works. Scientifically there’s much more to it that’s so much more exciting. Learn as much as you can about this wonderful law and understand its profound impact in your life. Things will magically appear, but not from out of the blue. They will appear because you now see with your new eyes. But, they will also move toward you, because you thought them. As surely as gravity will pull you to earth every time you fall, the law of attraction will bring what you most positively think about again and again. With the Law of Attraction there is no such thing as luck. Luck is where preparedness meets opportunity. 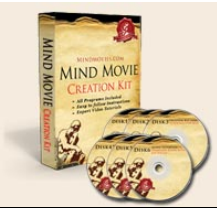 Remember that nothing has ever been invented or built without first originating in the mind of man. When you understand the significance and, more importantly, believe fully the Law of Attraction - you WILL start attracting amazing things into your life and RECOGNIZE their arrival. You are now ready for Step 3 . . . .
Don’t even think about things like categories, areas of achievement, and definitely about how you’re going to achieve them. Just start writing. Organize your goals into easy-to-follow categories, steps, and daily to-do's. Once set - simply follow your plan.